Canadian Champion, Curtis Cassidy of Donalda, Alberta Canada – His stalwart horse, “Willy”, was retired after the 2010 Wrangler NFR. “It’s now been a decade since he retired, but watching his boys achieving their rodeo goals has been really special, especially when a practice horse named RTR Little Willy a.k.a Willy, was starting to shine on the world’s stage. Someone in the Cassidy clan knows a thing or two about horses, but Greg humbly says, “We had no idea that he was going to turn into anything.” What Greg saw at the time was a skinny Easy Jet bred 3-year-old race horse at the Lethbridge track. Willy’s taken three men to World Steer Wrestling titles over the years and has helped cowboys win more than $2.5 million. Horses are a big part of rodeo. And one event where the equine part of the equation is sometimes less celebrated is the steer wrestling. Not every steer wrestler/bull dogger rides his own horse in competition. Instead, in effect he ‘leases’ a mount in return for a portion of the prize money. To better understand the importance of a solid steer wrestling team, I sat down with four time Canadian Champion Steer Wrestler Greg Cassidy. Greg explained that the horses are generally regarded as teams – one for use by the cowboy ‘dogging’ or wrestling the steer, the second horse used by the hazer (a second mounted cowboy who helps keep the steer running straight down the arena). Greg is the only cowboy ever to win the $50,000 at the Calgary Stampede in two different events (steer wrestling twice and tie-down roping once). 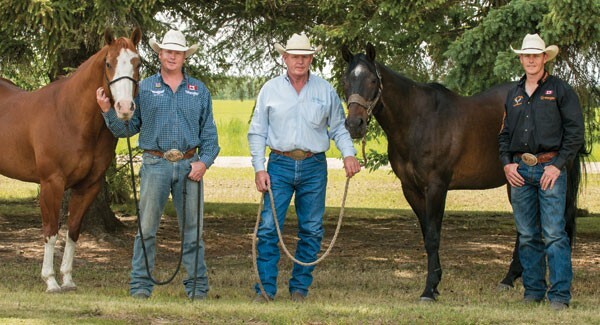 He and sons Curtis and Cody train and haul three different steer wrestling teams to rodeos. 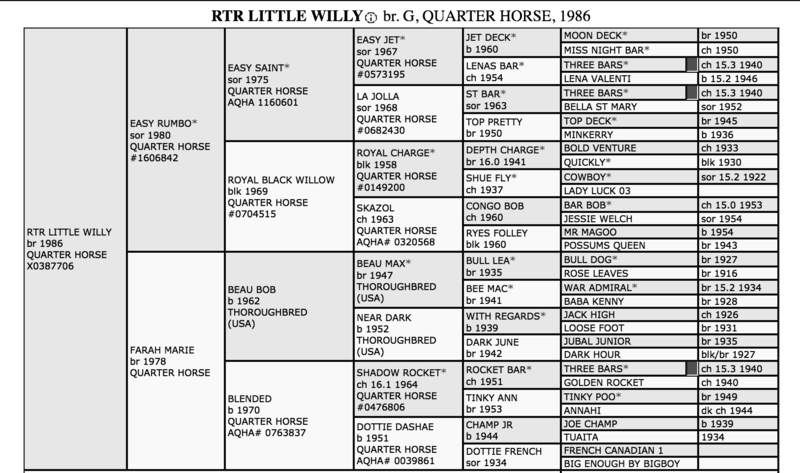 As in previous years, the Cassidy horses are in demand at the Stampede, none more so than a gelding named “Willy”. 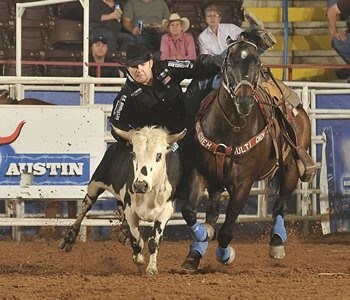 An appendix gelding (half quarter horse/half thoroughbred), Willy’s taken three men to World Steer Wrestling titles over the years and has helped cowboys win over $2.5 million. Because the gelding is getting on in years, the Cassidy’s now put him to work in a more limited fashion. They also have other very solid horses in their string, including Wrangler, Magnum and Deuce. What started as a couple of solid bull dogging horses for Greg’s rodeo career has expanded into a business. Curtis and Cody have both been very successful. 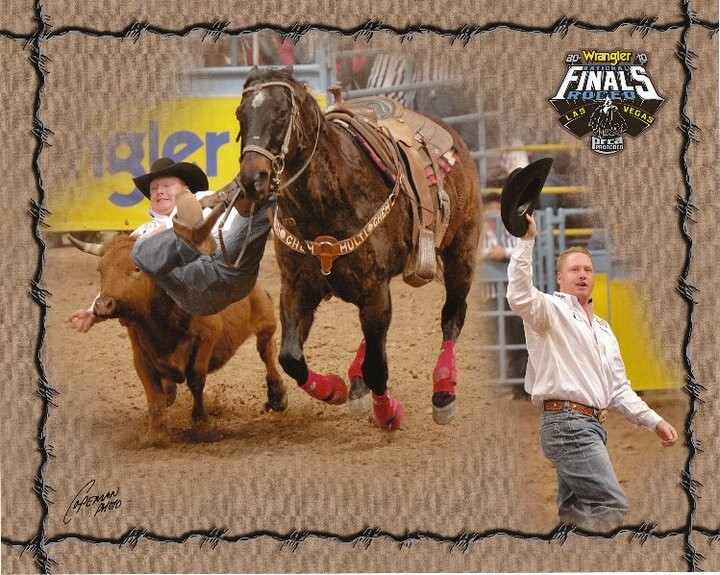 Curtis is a former Canadian Champion, NFR qualifier and Stampede Champion (sitting second in the World at present). Cody is leading the Canadian standings and is a Reserve Stampede Champion. As a result there is both demand and opportunity for trained, dependable horses. Seven of the ten men in Pool A at this year’s Stampede rode a Cassidy horse in the steer wrestling. Three more competitors in Pool B are mounted on Willy. Not bad when you learn that the Cassidys get paid 25% of the purse if cowboys win or place while riding one of their horses. But before you get to thinking that the family is getting rich, you have to do the math and look at the odds – taking into account that most rodeos don’t pay out anywhere near the purses offered at the Calgary Stampede. As Greg says, “If 150 guys are entered in a rodeo and only 8 or 10 are paid, it’s not great odds that we’ll make a lot of money.” In addition, there are farrier and vet costs. While listening to Greg talk about his horses, it’s obvious that a love of rodeo and the horses themselves is front and center of the Cassidy program. Willy, for example, is almost one of the family. 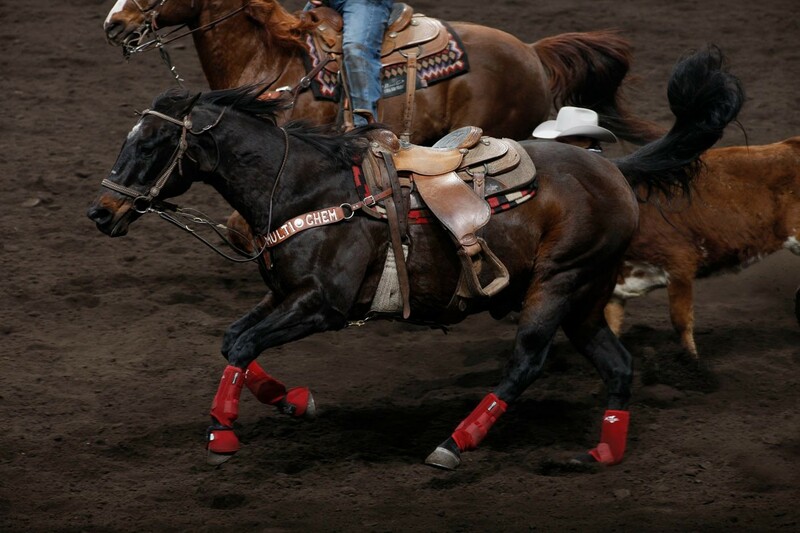 Similar to making a rope or barrel horse, it takes considerable time (often years) to go from the prospect stage to a seasoned, solid rodeo horse. With ranching and back grounding cattle the main livelihood for the Cassidy family, turning out steer wrestling horses fits well into their program. A horse like Willy comes along once in a lifetime… or does he?